Sticker Printing. Custom Sticker Printing. Create Your Own Stickers. Take your designs to another level with sticker printing. Custom sticker printing is a brilliant way to make your artwork even more diverse and usable. Featuring stunning, high definition print and impeccable color reproduction, each sheet features 15 or 35 stickers in your choice of round square. They are made using a strong, non-tear material. You have the option to design every sticker individually and there are no minimum orders. Perfect for work or play, create stickers with your art and enjoy seeing your designs in a whole new (sticky) light. With a stunning matte face, your bespoke stickers will showcase designs and artwork perfectly. This fun and original way to produce designs can be used for so many purposes. The material used for custom sticker printing strong, durable, wipe clean and non-tear, which ensures your stickers will last. The adhesive back is actually removable and non-permanent, so you can move your stickers around. 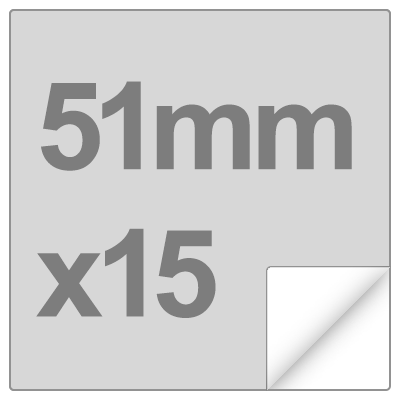 Each sheet features 15 or 35 stickers in round or square, and they also have no minimum order amount. You have the ability to design every sticker individually. The look of your stickers is quite extraordinary. Our printing methods allow us to print in remarkable HD quality, so fine lines, details and colors will look perfect. 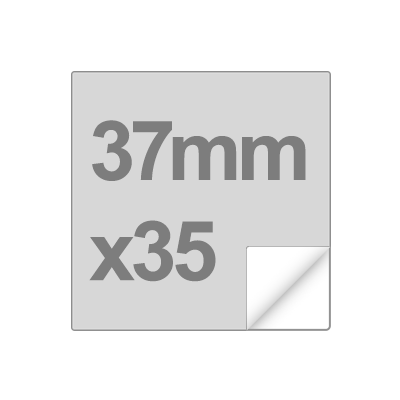 We have 2 sizes available in either round or square, giving you 15 or 35 stickers per sheet. Your bespoke stickers are printed by our expert technicians in the Contrado studio. Every care is put into achieving the best possible results. Using specialist printing methods and remarkable material to create your stickers, every sheet printed looks and feels wonderful. The material used has a smooth and matte surface. It is durable and strong, making it perfect for sticker printing. Once your designs are entered into the interface, they are printed in sheets of either 15 2" stickers or 35 1.45" stickers. Machines cut the square or round shape, creating the final sticker. Your stickers are made from hardy and durable synthetic material. With a strong and matte face, if your stickers get a little dirty or dusty over time, simply give them a wipe with a cloth. 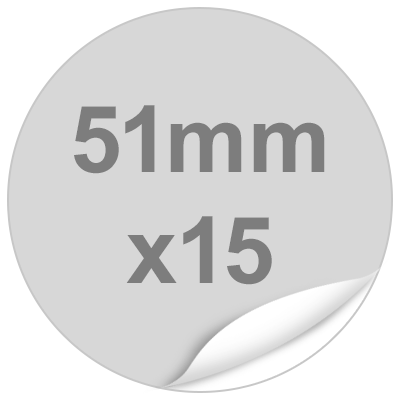 With sticker printing, you will receive 15 or 35 stickers. There's no minimum order amount, so order as many packs as you need. 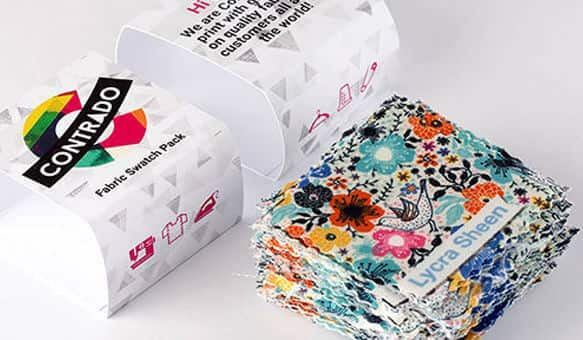 The print quality with our custom sticker printing service is sharp and clear, so if you create a design with fine lines and details, be assured that they will be reproduced perfectly. When uploading your designs, the interface will automatically create the shape of the sticker, all you have to do is fill it. Please note, with the round stickers, they come out as a square with the circular sticker cut out. Your design will continue onto the square outline of the sticker, but will not be a part of it. Ensure that any important details in your design are kept within the circular perimeters as shown on the interface. Make organizing a joy with your own bespoke stickers. Create a sheet of customized stickers and enjoy using them around the home and even in the office. 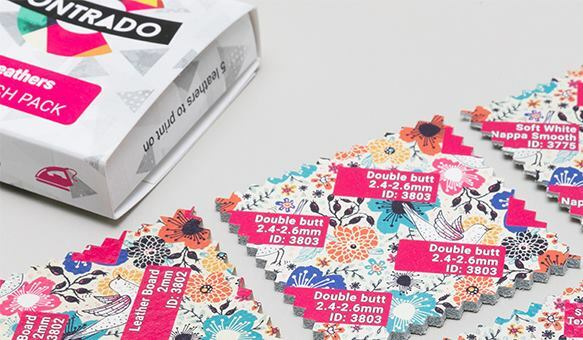 From tidying up your kitchen and adding stickers to tea and coffee jars, to labeling where washing powder and fabric conditioner goes, these stickers are both fun and functional. Come up with quirky designs, add photographs and text and use them as a unique way to label and organize your life. For doctors and dentists, custom sticker printing can be a brilliant way to make young patients feel at ease. The power of the sticker is renowned for making children feel better, and reward stickers are pretty much as good as a medal in their eyes. If you are a doctor or a dentist, consider designing your very own stickers to reward young patients after their appointment. You can include their name and a fun design and slogan to make them feel excited and happy. Create something entirely new and exciting with your artwork. Take advantage of sticker printing and your customers will be able to buy your designs on sheets of beautiful, handmade stickers. When you create a brand, you can think outside the box about what products to offer clients. 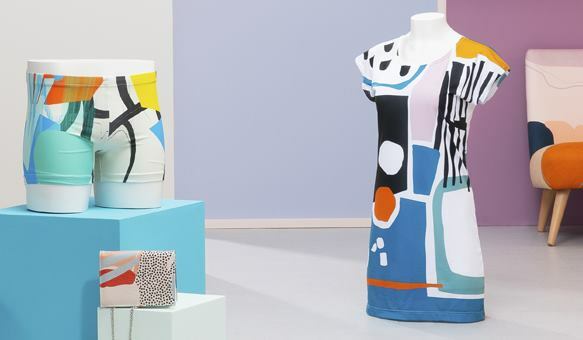 Art prints and canvases are great, but when you add homeware, fashion, and stationary into the mix, you have something that people will be able to use in their everyday lives. How many stickers will I receive? 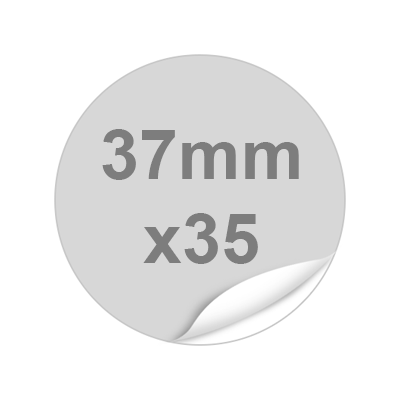 When you use our custom sticker printing service, you can design 15 or 35 stickers per sheet in either round or square. They can be designed completely individually. Unlike paper stickers, these stickers are made from a durable, tough material. This material is incredibly durable, and what's more, they can be wiped clean and are non-tear. The print quality of your new stickers is brilliant. Super crisp and clear with HD quality. Fine lines and details are depicted clearly and the color reproduction is just stunning.